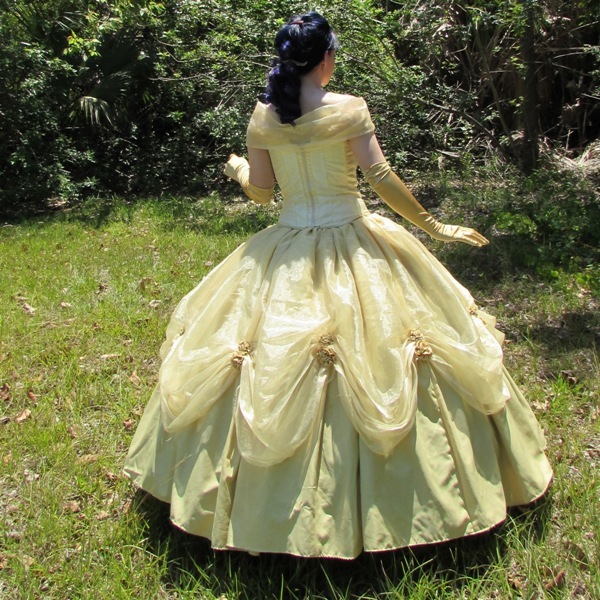 I spent over a year making this princess gown, redesigning the bodice seven times before I was happy with the results. 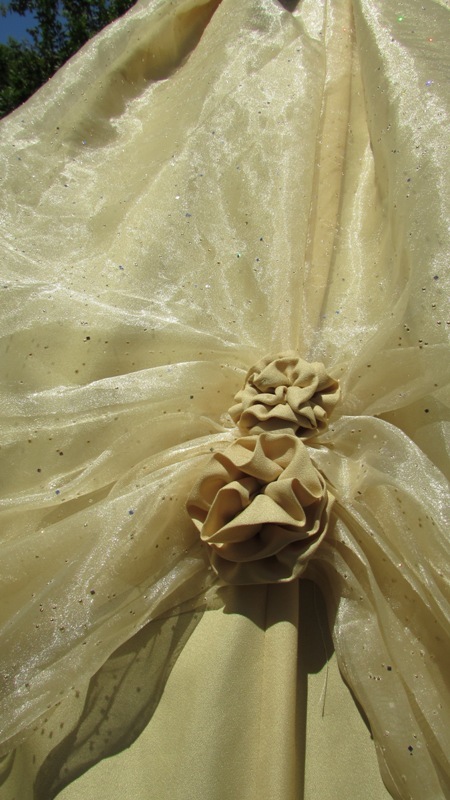 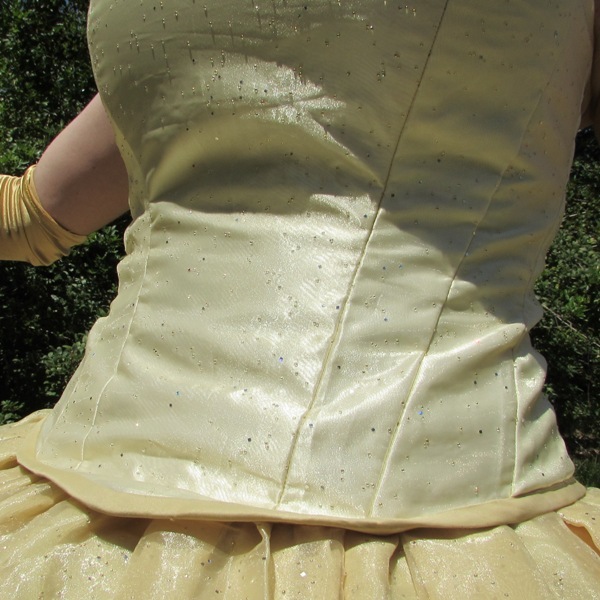 (If you're interested in construction details, there's a dress diary.) 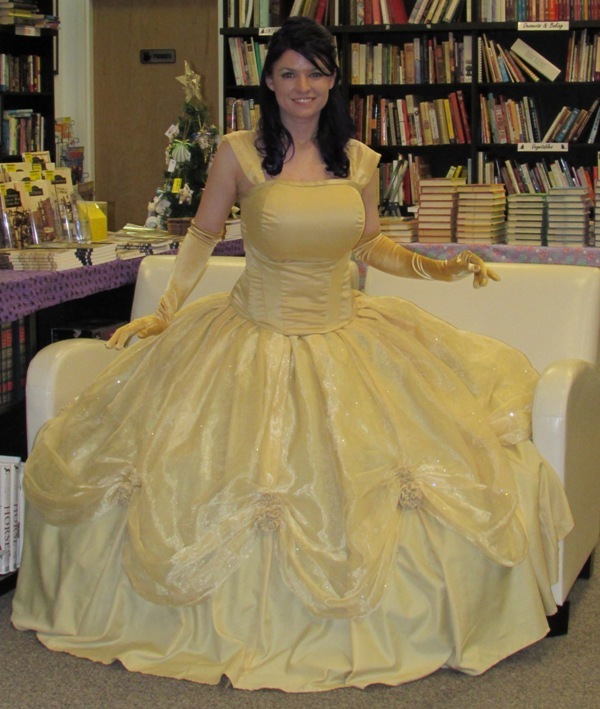 Surprisingly, I wear this costume often; at least once a month for Fairy Princess Storytime. 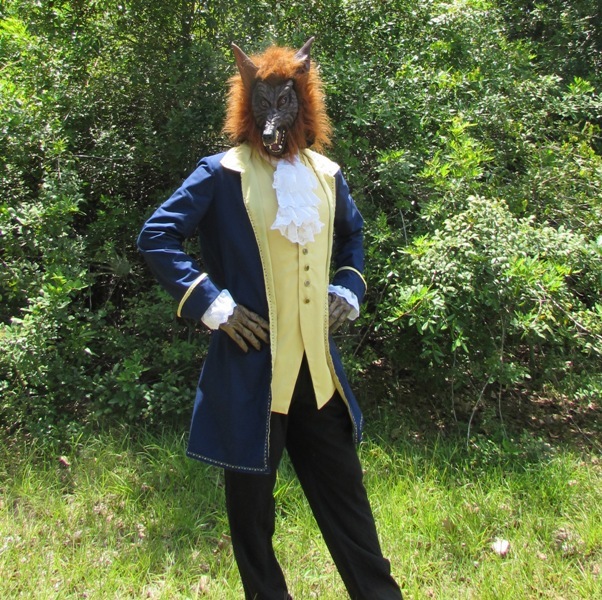 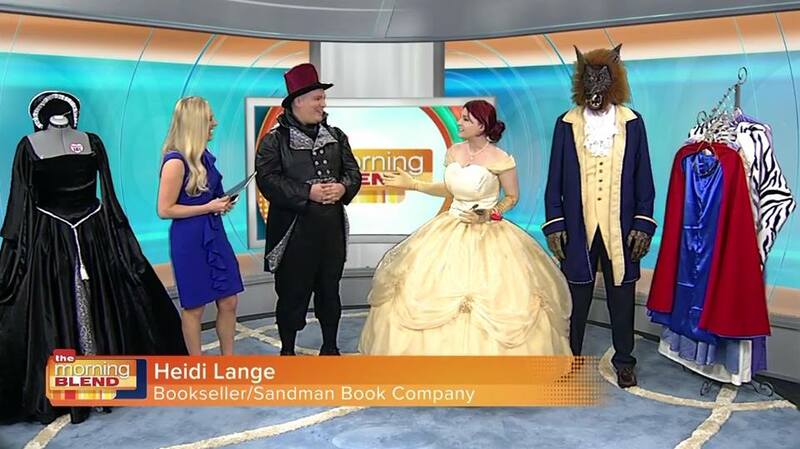 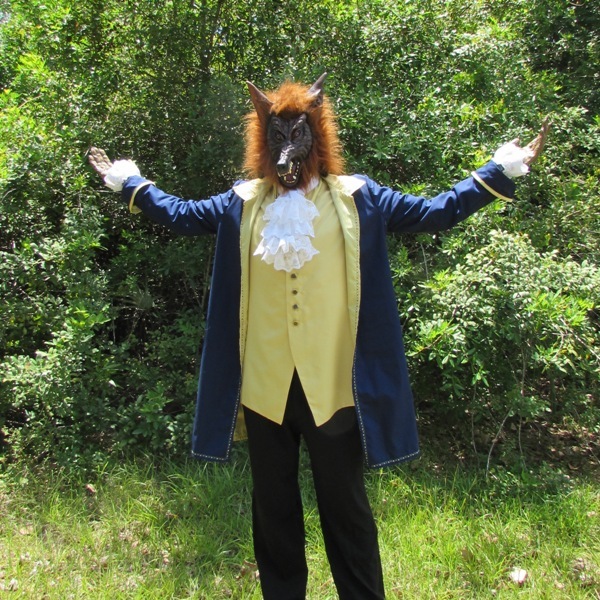 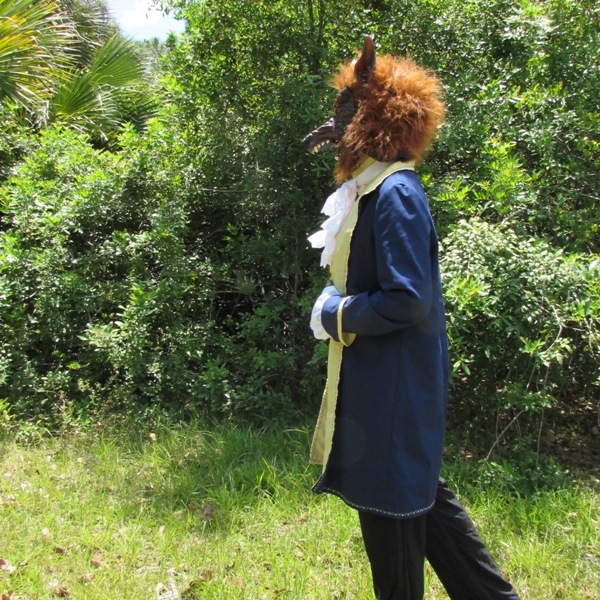 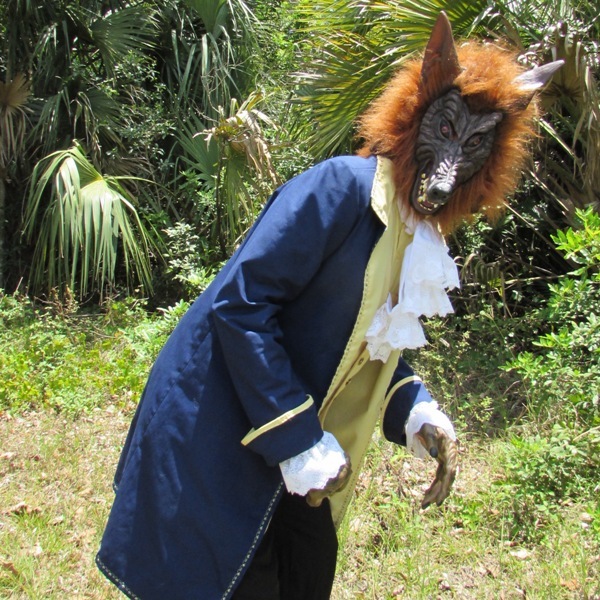 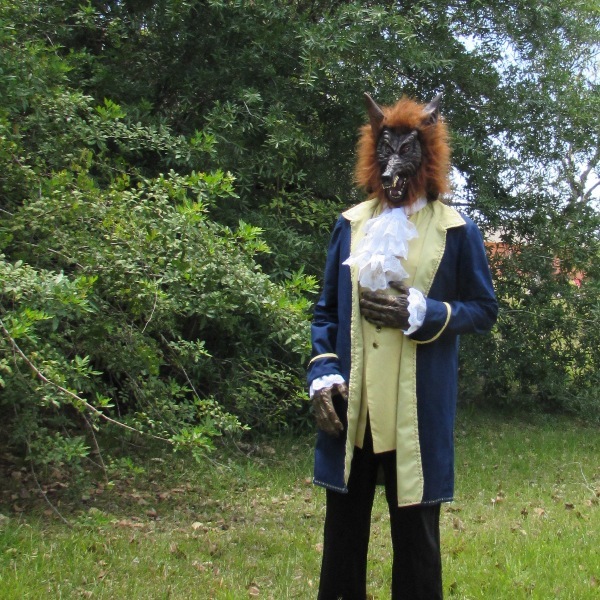 It is part of a couples costume - I also made an outfit for the Beast. 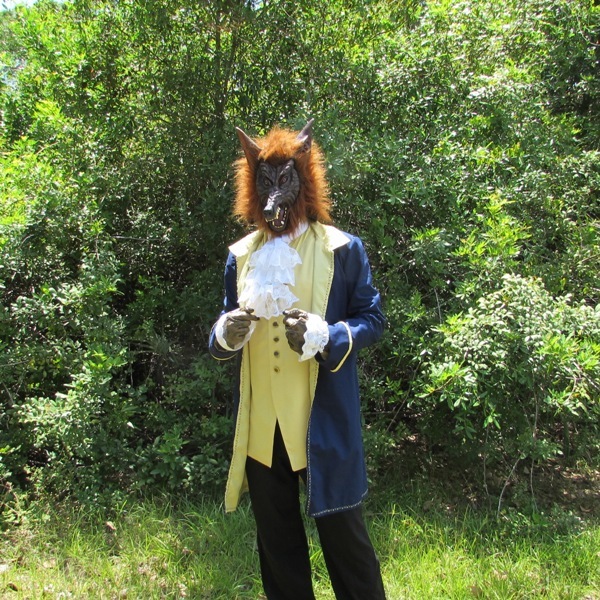 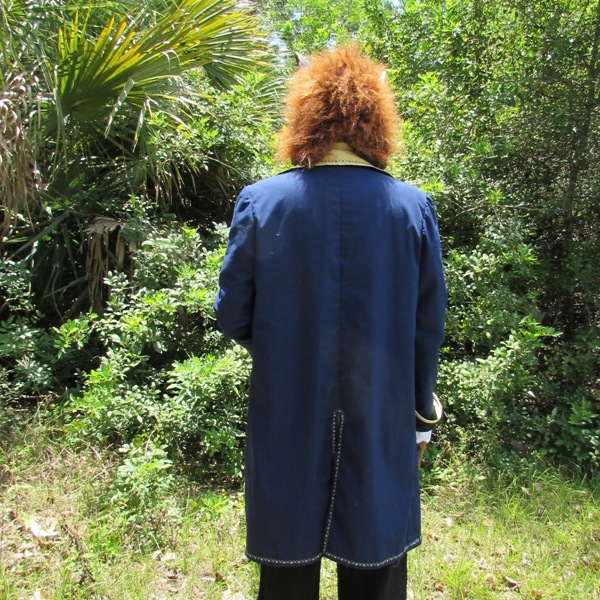 I made the jacket, vest, jabot and cuffs using McCall's pattern 4626. 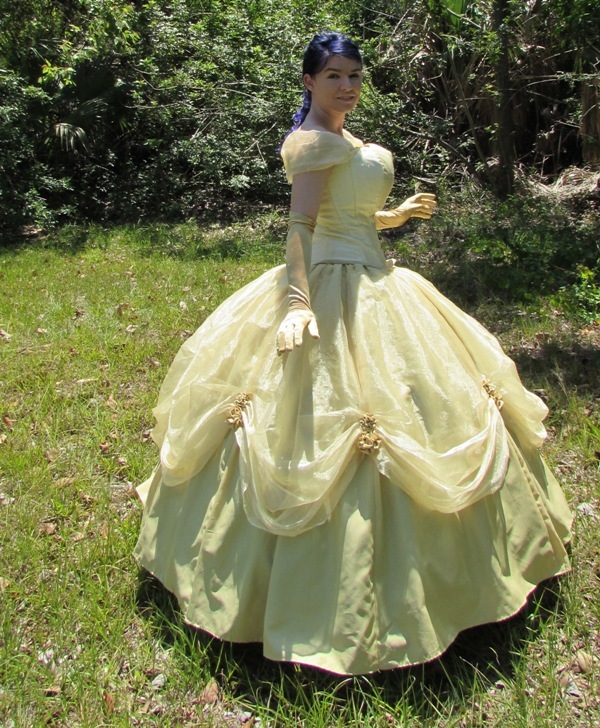 It was easy enough to assemble and since the fit is quite relaxed there were no problems. 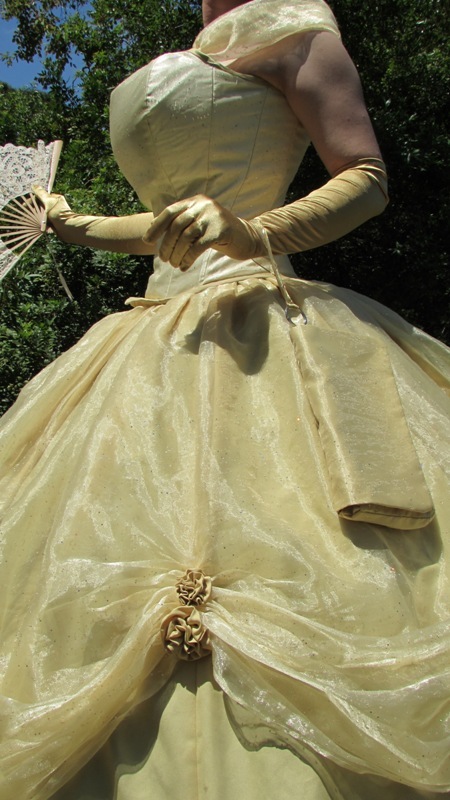 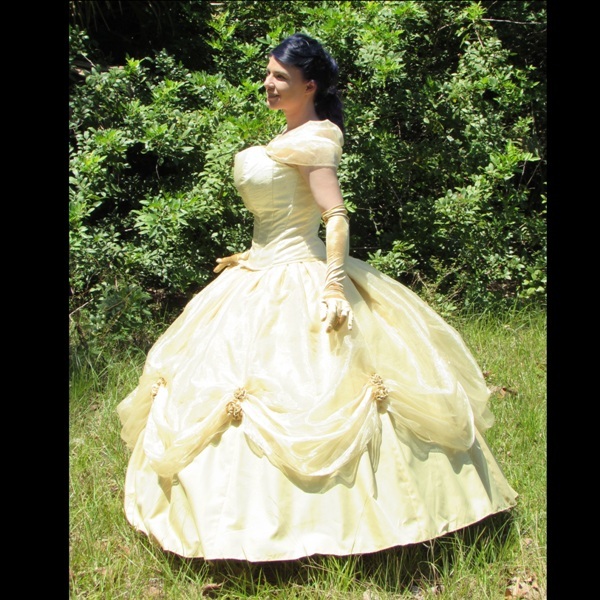 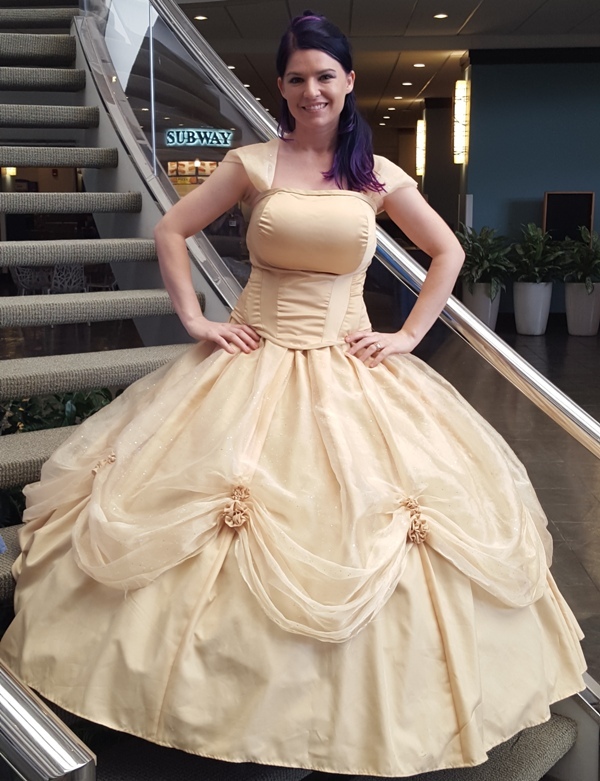 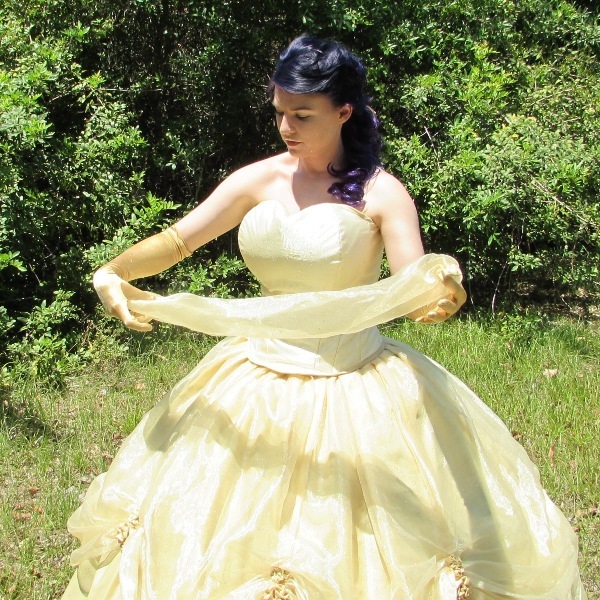 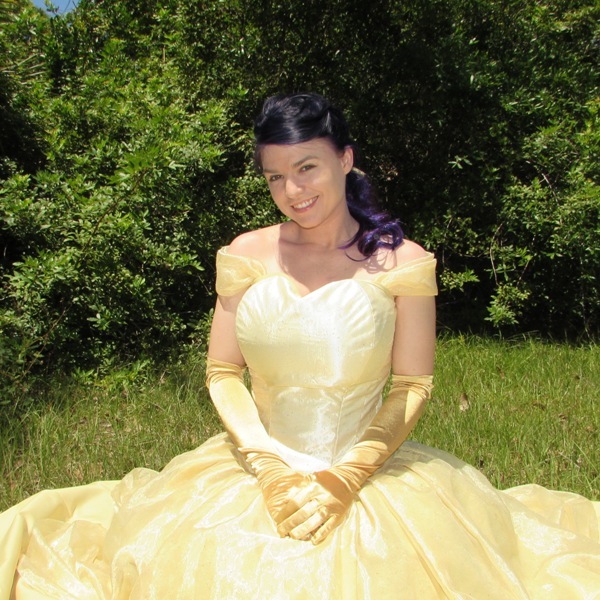 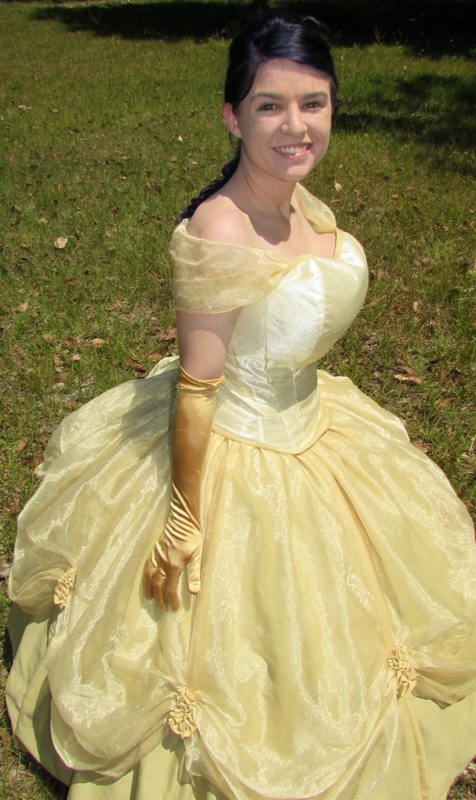 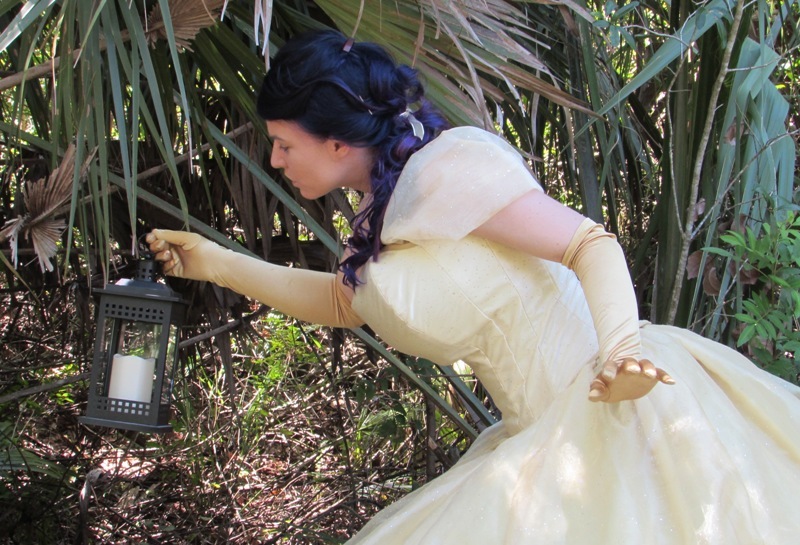 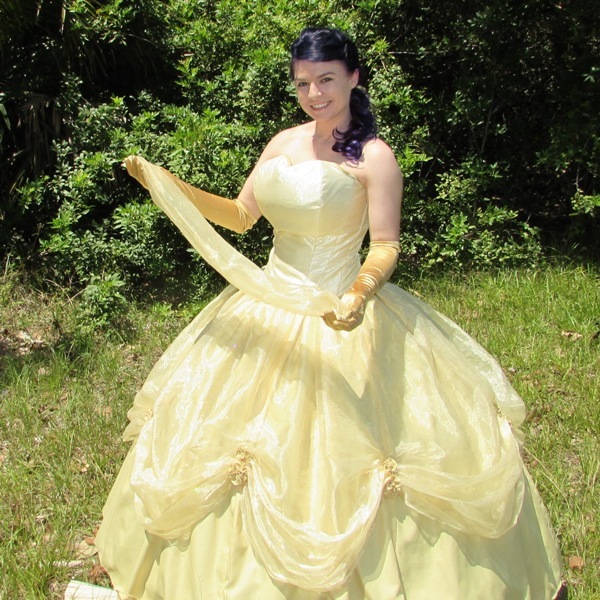 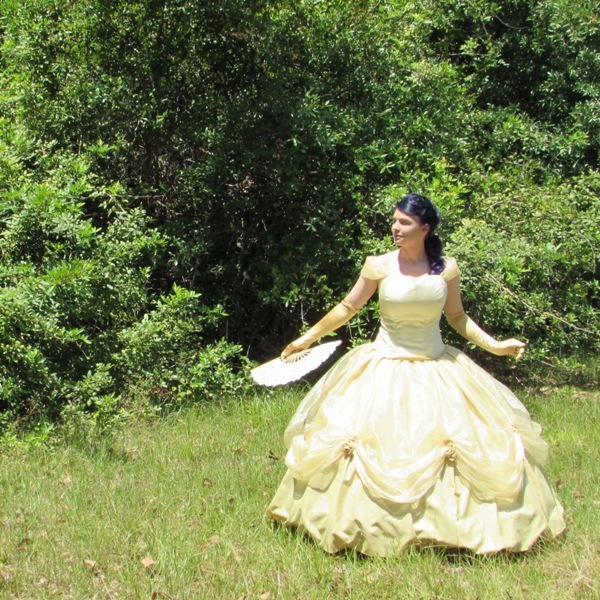 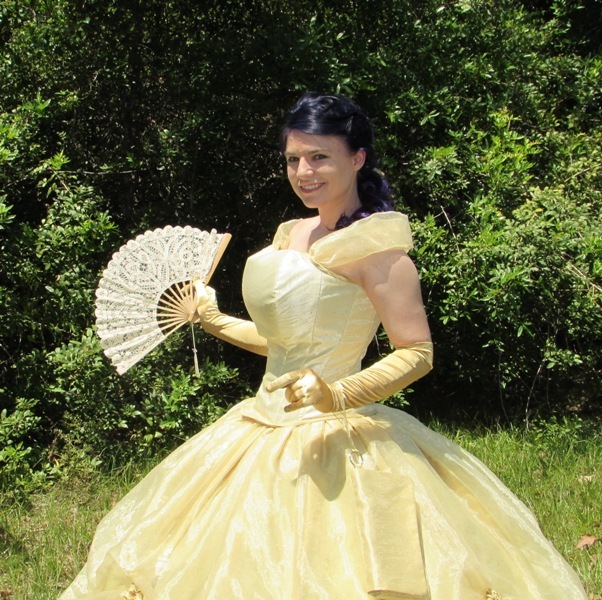 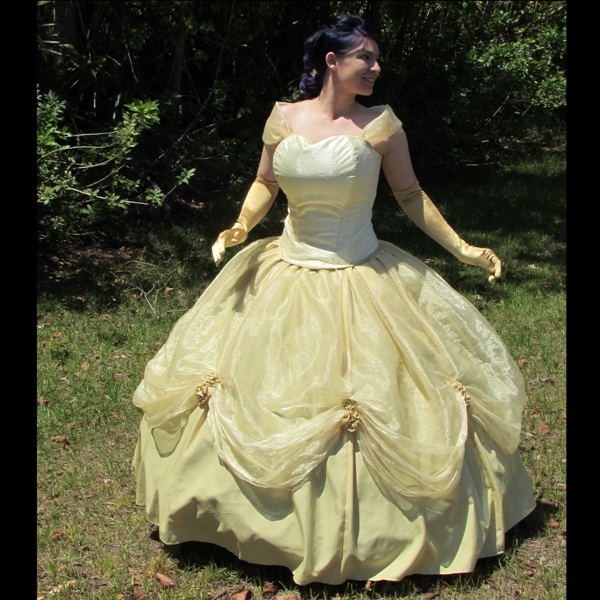 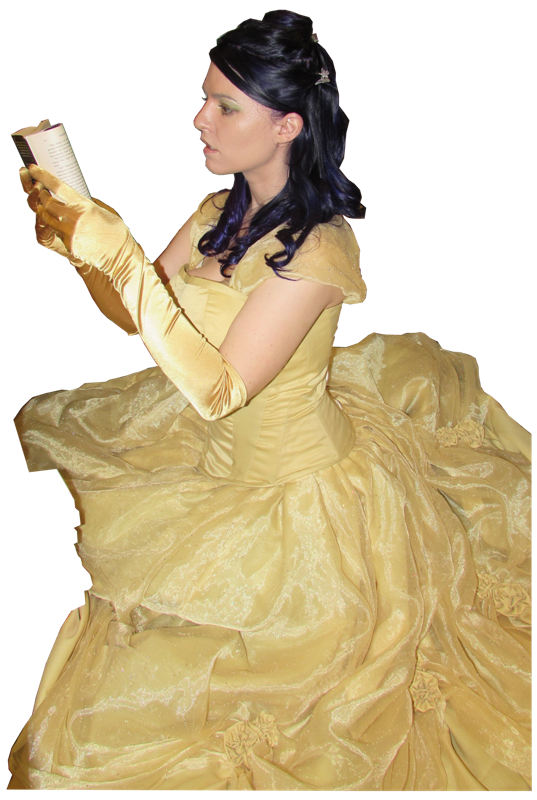 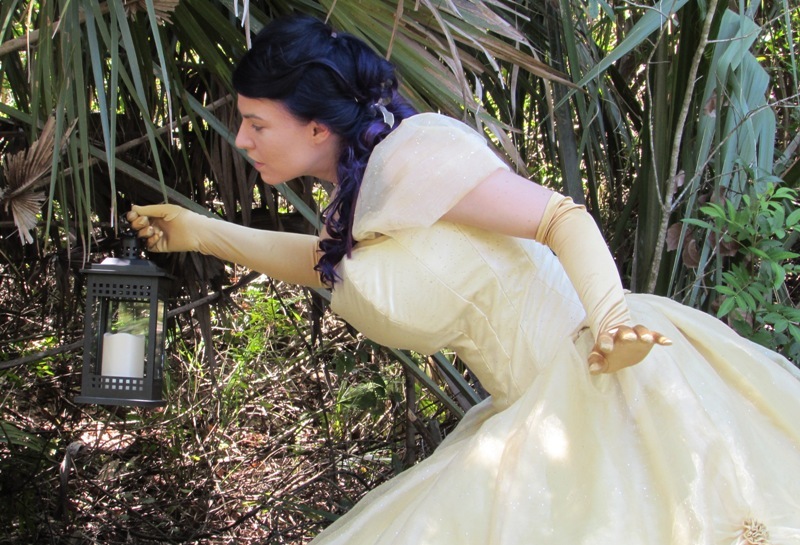 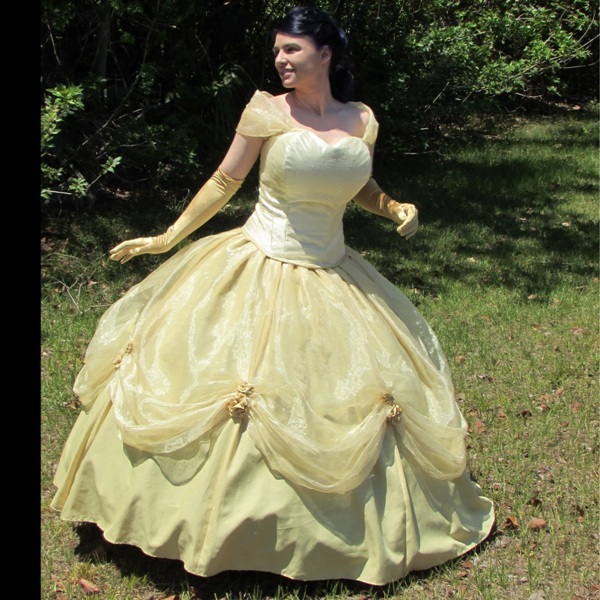 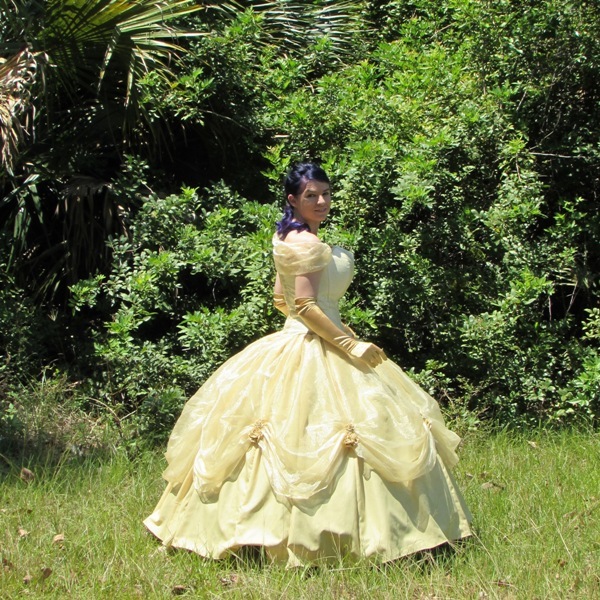 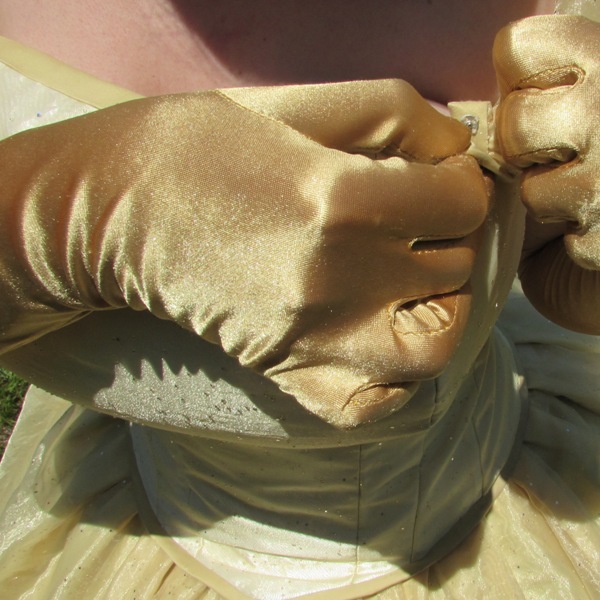 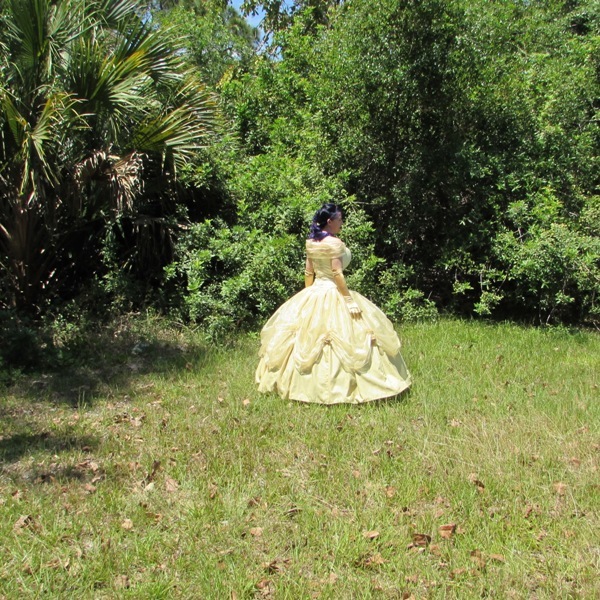 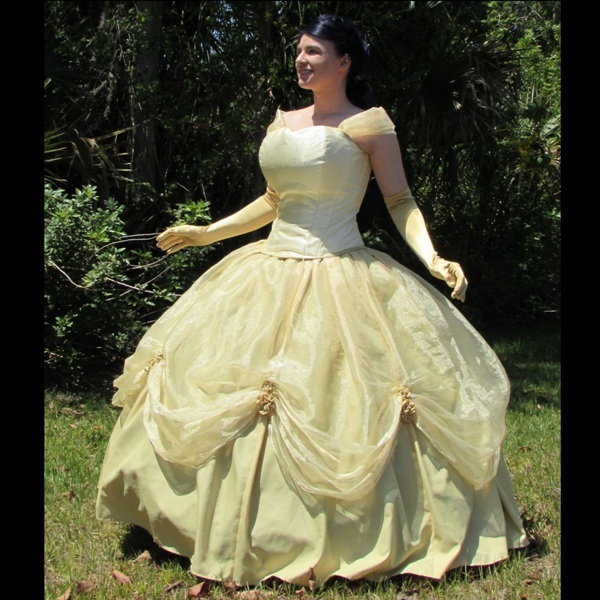 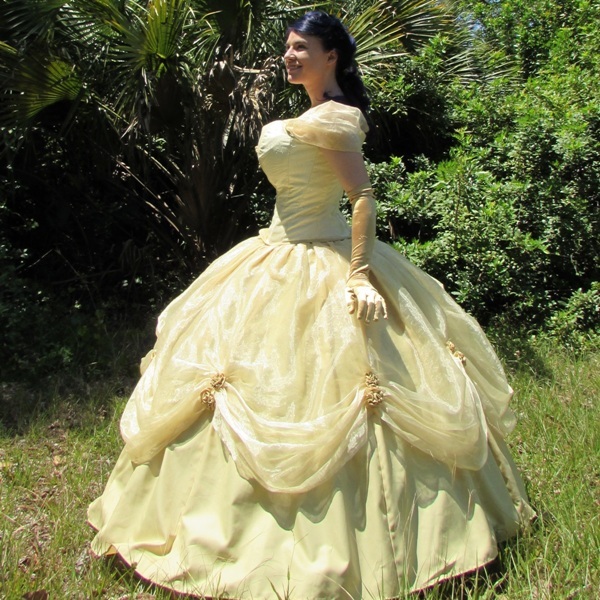 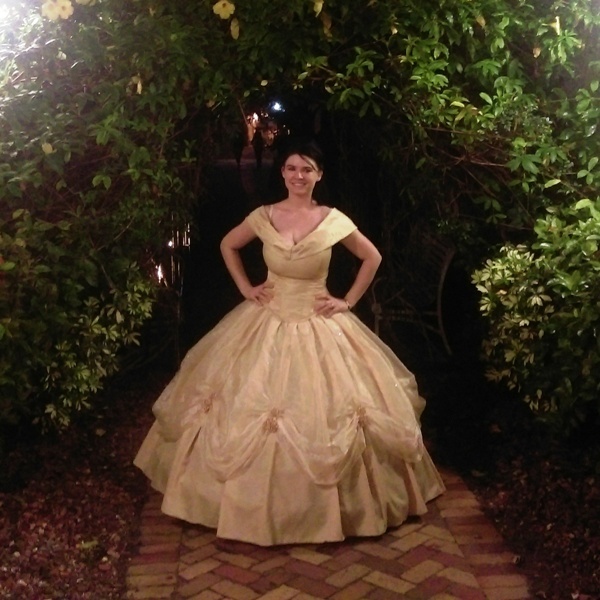 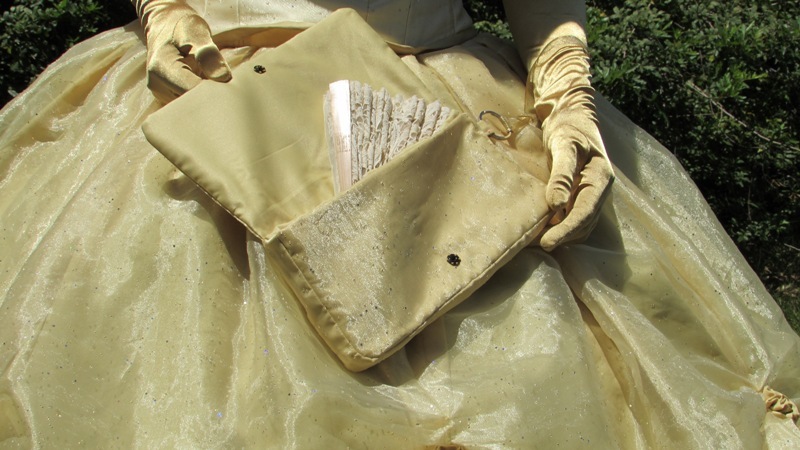 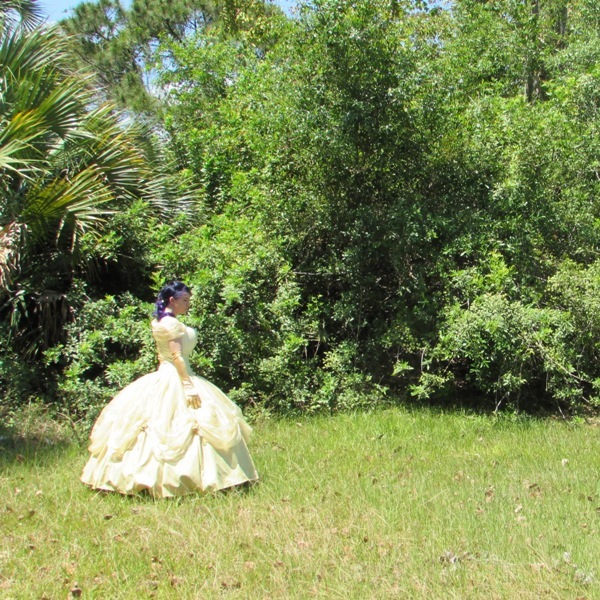 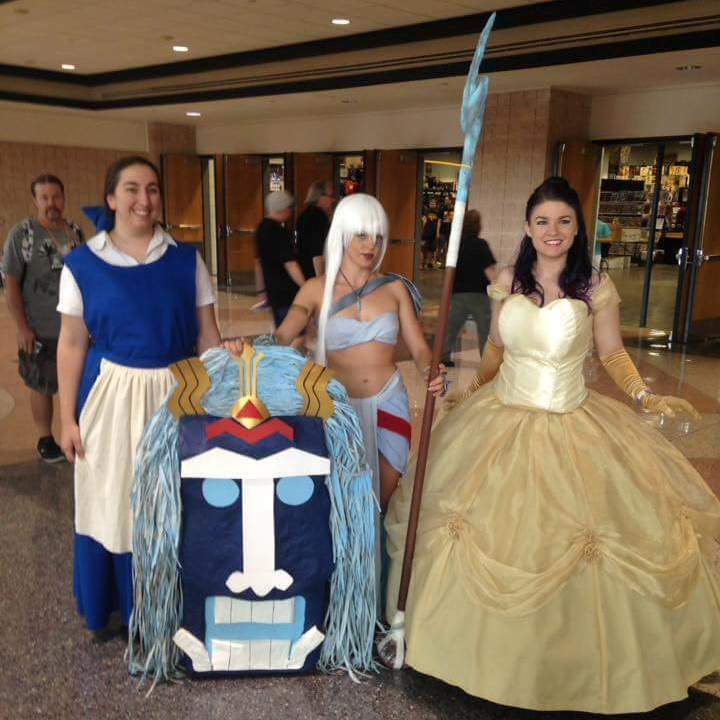 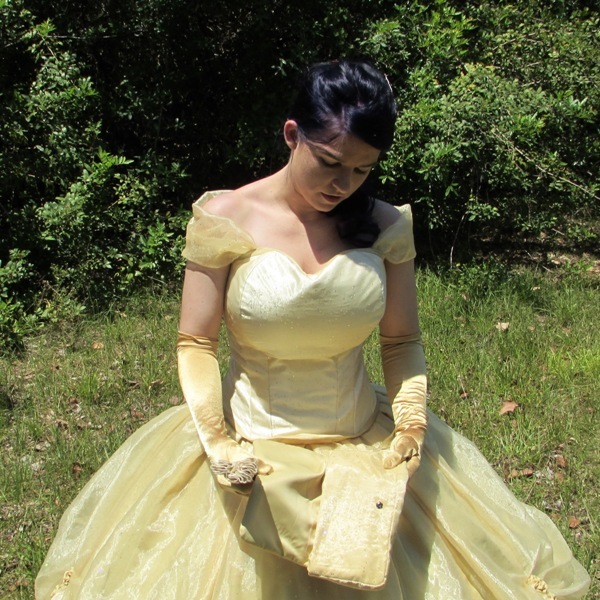 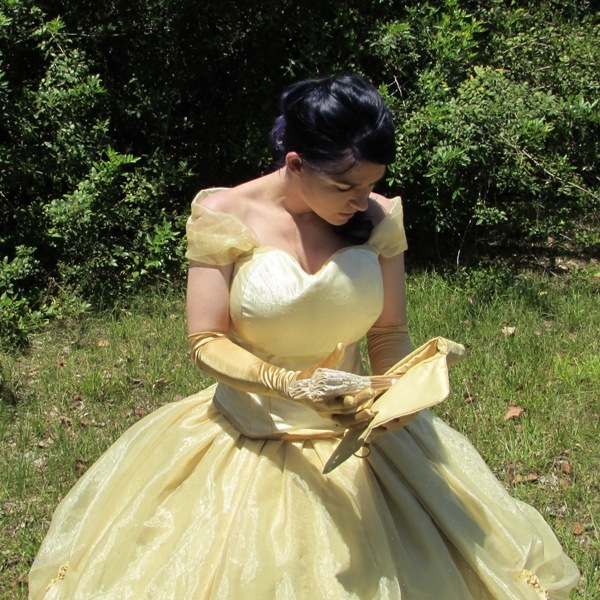 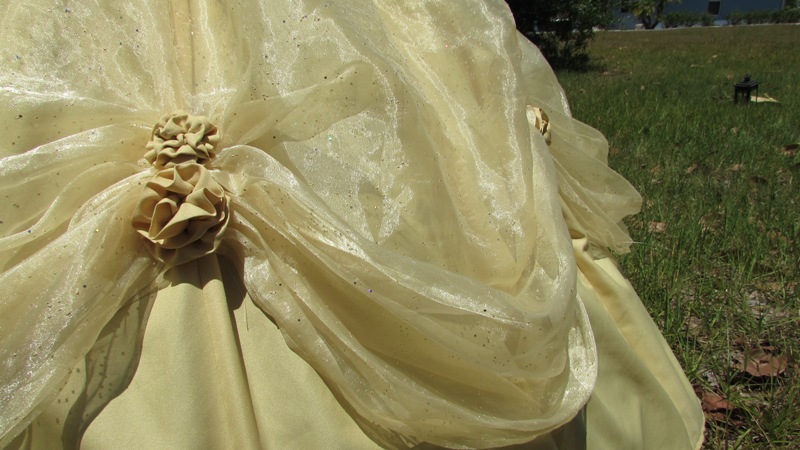 I spent over a year on this princess gown, rebuilding the bodice seven times. 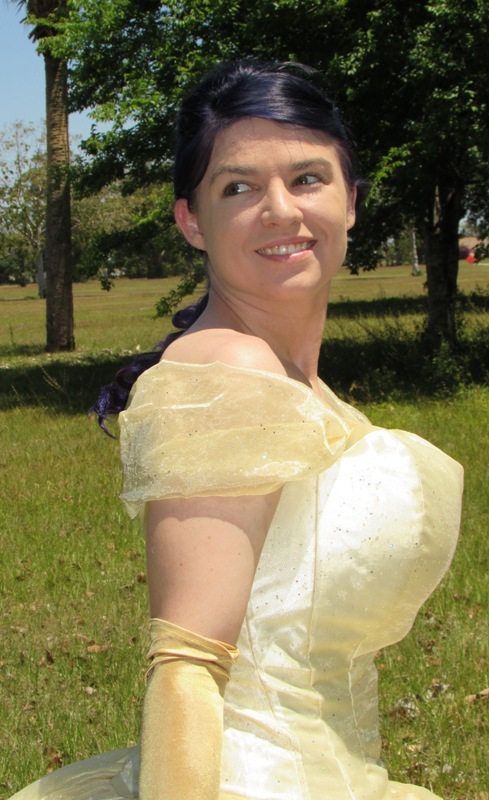 It was difficult to get the sleeves / collar to look flattering while still maintaining a reasonable level of movie accuracy. 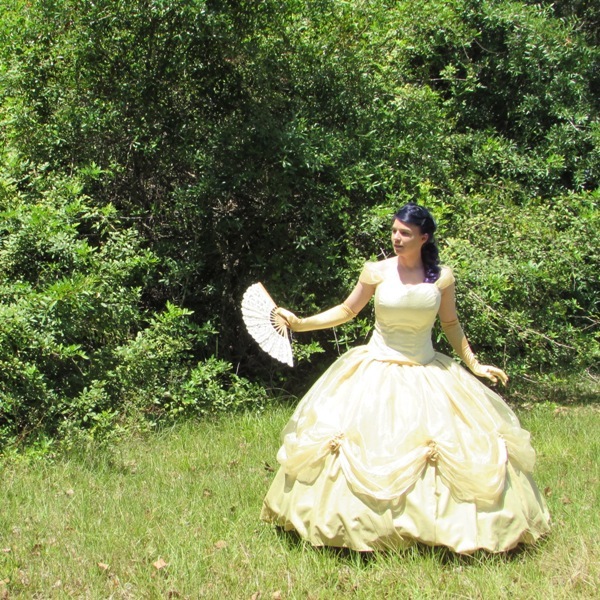 I wear it often at a storytime event for children, and I've been surprisingly pleased with how well the skirt holds up even when excited boys and girls are stepping on it. 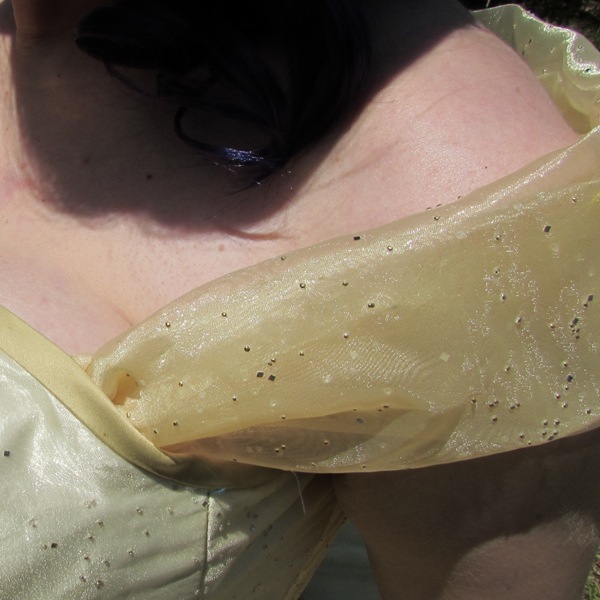 A more challenging task was designing a bodice that can't be ripped off the shoulders by toddlers grasping my hair during photo ops.